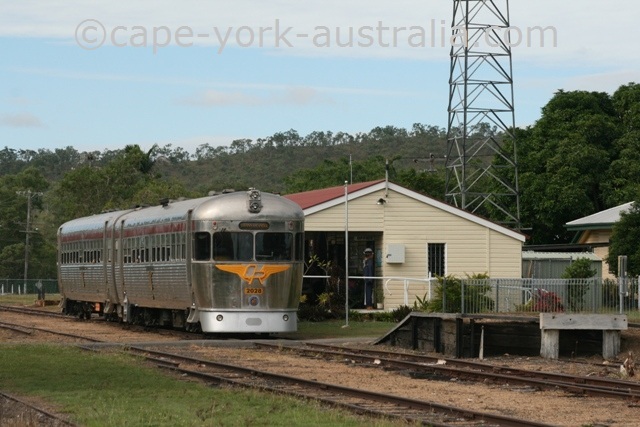 There are a few geat train trips just south of Cape York. 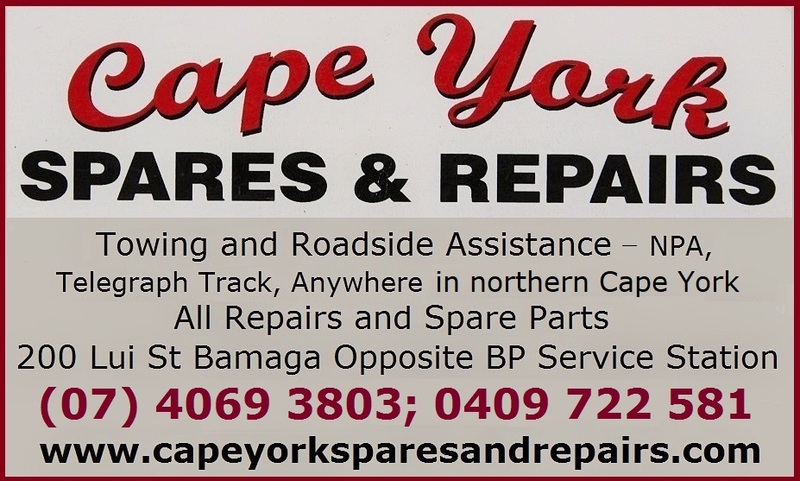 They don't replace driving - you don't get to do Cape York by trains, but they are fun ways to do some bits while up here in case you have the time. 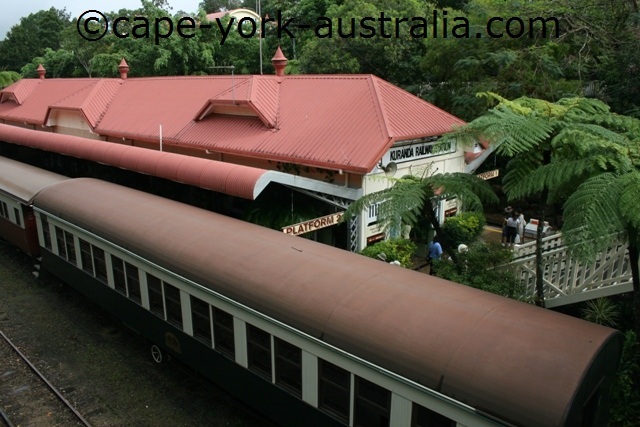 There are some historical ones like Cooktown - Laura and it would have been so much fun if they restored them and run them for travellers, but as it is there are three of them in far north Queensland and all the three are just south of the Cape York Proper. The most popular is the Kuranda Scenic Railway train that takes you from Cairns to Kuranda (and back although most people choose to return with the equally famous Skyrail. The trip crosses the beautiful Barron Gorge National Park and is the most popular way to visit Kuranda. The second one is Savannahlander - that also starts in Cairns but goes further inland through Cairns Outback via Mareeba, Dimbulah, Almaden, Chillagoe, Mt Surprise and Undara Lava Tubes as well as Einasleigh to Forsayth and Cobbold Gorge. A great outback trip and popular. 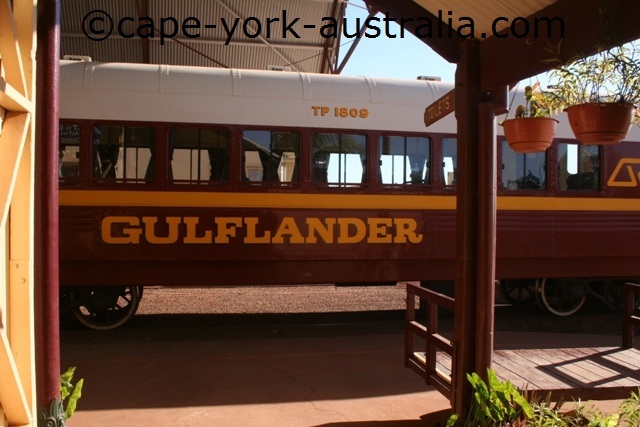 And the third of our train trips is Gulflander - that like the name says comes from the Gulf - Normanton, and goes about 150km, along the more than 120 years old rail route to Croydon, following the Savannah Developmental Road. It has return trips once a week that are popular. 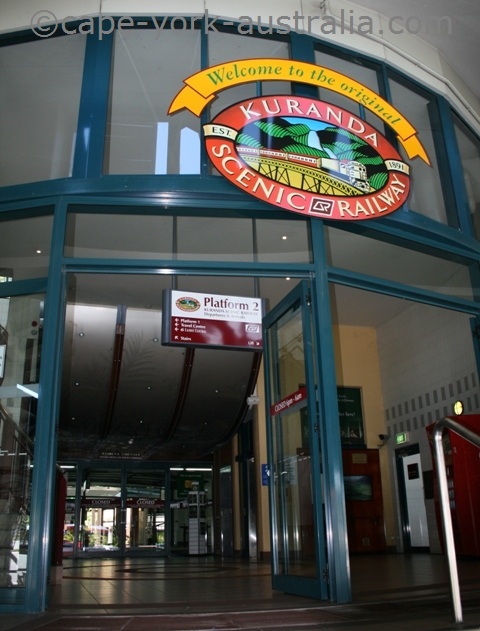 Kuranda Scenic Railway does train trips from Cairns to Kuranda. It is a very popular trip to Kuranda for day visitors, and you can combine the trip with the equally popular Skyrail. Trains depart several times every day from Cairns Central, and you can return the same day. It is a beautiful trip through dense tropical rainforest, and past some of north Queensland's most impressive waterfalls. The trip starts at the train station under Cairns Central shopping centre. It follows the main street via north Cairns, and then turns west towards Freshwater Station after Aeroglen. Soon after the Freshwater Station Kuranda Scenic Railway starts winding up across the mountain range. After a few tunnels and some beautiful views, it comes to Stony Creek Falls, then Red Bluff, Robb's Monument, Mervyn Creek, Rainbow Creek, and then Barron Falls - truly impressive. There is a station, so the train stops there for views. 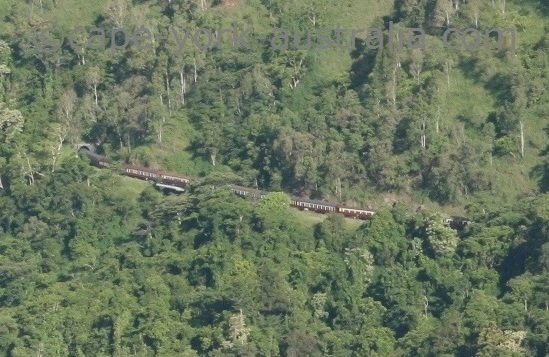 Not long after Barron Falls the train arrives at Kuranda Station. The whole trip (one way) takes about an hour and fourty minutes. In Kuranda, there are the Heritage and the Original Markets, the Butterfly Sanctuary, Bird Aviary and Koala Gardens, Venom Zoo and a whole lot of shops, galleries, and nice places to have a lunch. Kuranda Scenic Railway was not built for tourists. 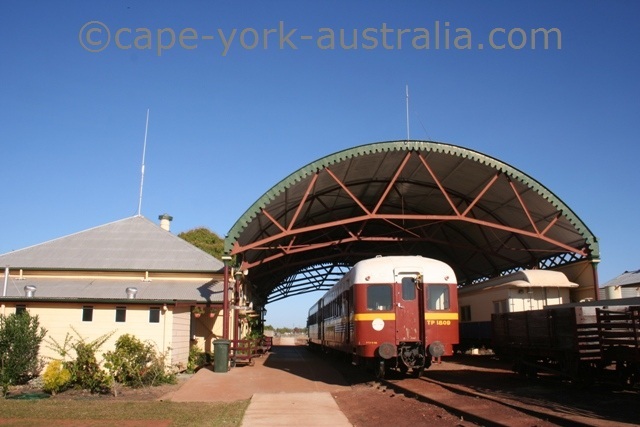 Originally it was built for the inland goldfields, where Savannahlander train goes today. The building took from 1886 to 1891, and you can only imagine what it took to remove almost three million cubic metres of earth to build 55 bridges and 15 hand made tunnels for the 1500 workers that started with nothing but shovels, picks and dynamite. 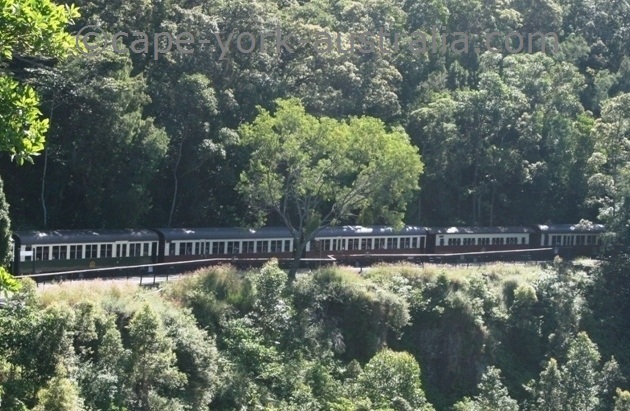 Savannahlander is an historical train just south of Cape York. 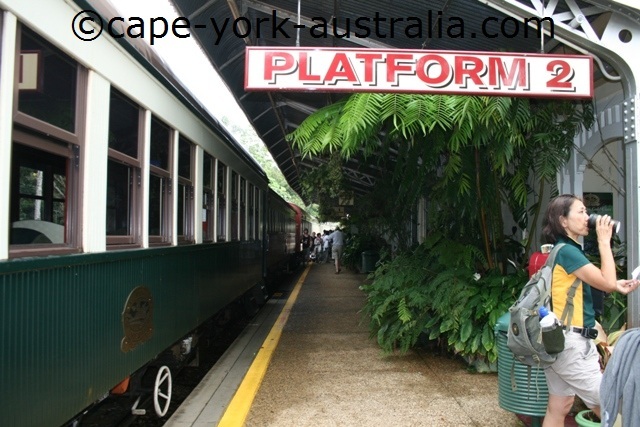 It does train trips from Cairns via Kuranda and Mareeba to Dimbulah, Almaden and Chillagoe, and further in to the outback, to Mount Surprise and Undara Lava Tubes, and Einasleigh, Forsayth and Cobbold Gorge. The four day, 850km trip starts once a week in Cairns Central Railway Station. For much of the trip there are no other trains on the line, so the driver is happy to stop anywhere you like. It first goes the same way as the Kuranda Scenic Railway, via Barron Gorge National Park to Kuranda, and then it leaves the rainforests behind and continues to Mareeba. 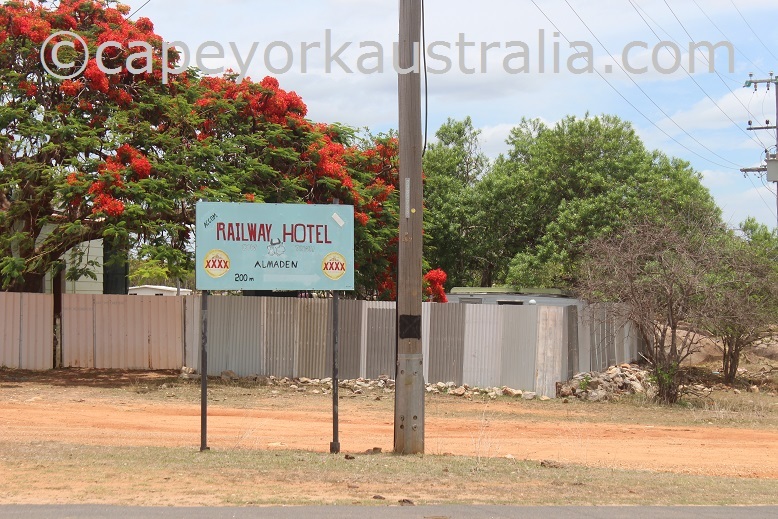 After Mareeba it's the real outback and it goes through small townships like Dimbulah, Almaden and Chillagoe, where the train stops for the first night. 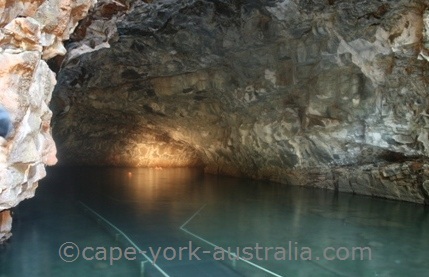 A side trip to Chillagoe Caves is possible. 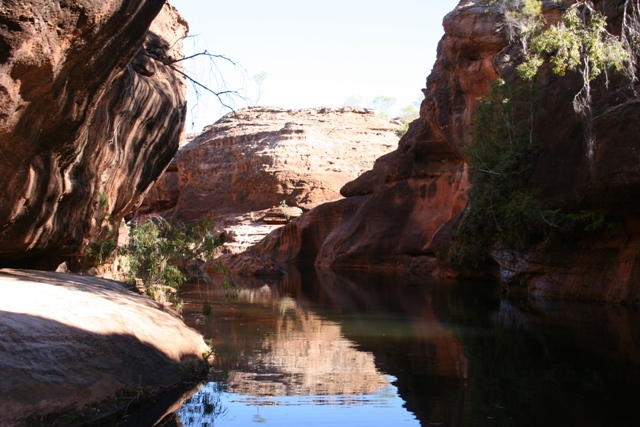 On the second day it goes through Mt Surprise and Einasleigh to Forsayth, where you can stay at Forsayth or Gobbold Gorge - a beautiful gorge well worth a visit. On the third day the Savannahlander drives back from Forsayth via Einasleigh to Mt Surprise and Undara Lava Tubes, where it stays for the third night. On the fourth day it returns from Mt Surprise via Chillagoe, Almaden and Dimbulah to Cairns. 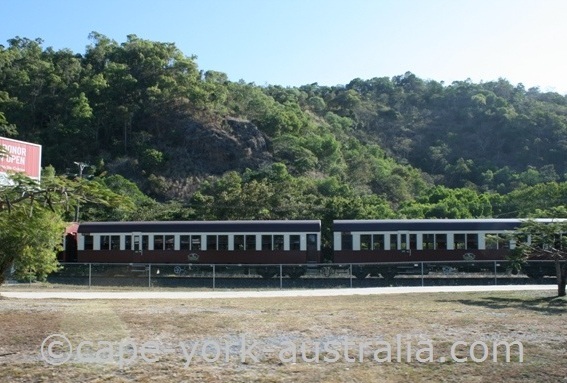 Gulflander is a historical train just south of Cape York. It runs once a week (well twice if you count the return) between the Gulf towns Croydon and Normanton. It's a good trip if you like train jorneys, through some outback country with old buildings and termite mounds. And the best thing is that you can stop anywhere - just ask the driver if you see something you want to have a closer look at! 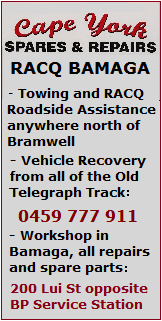 The trip starts every Wednesday morning in Normanton. 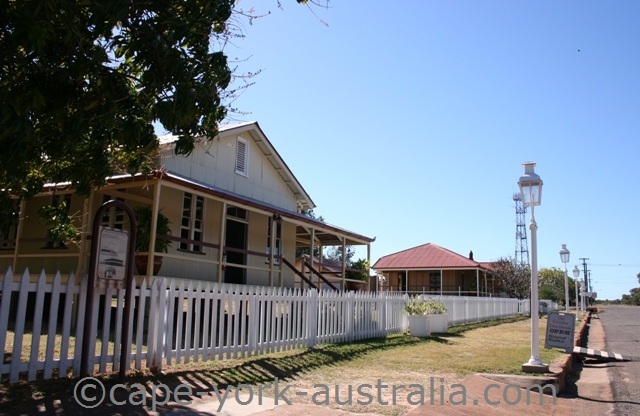 Normaton railway station itself is a sight to see. The trip goes 152 km to Croydon, via Blackbull. When you get to Croydon depends a little on the stops - as these are up to you and other passengers - but you usually get there around midday. 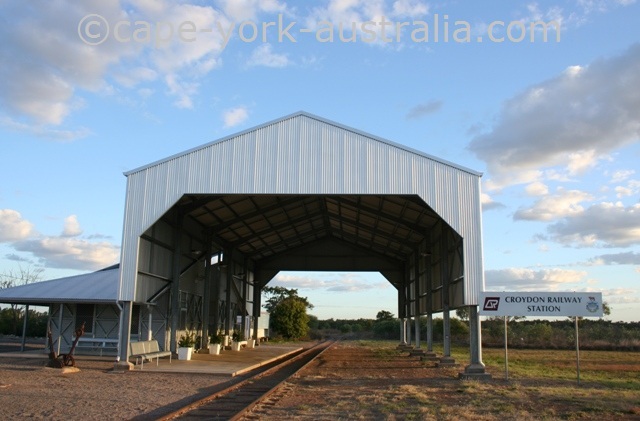 Croydon railway station is a relatively new building, built in the 2000s, as the old one was destroyed in storms and eaten by termites. 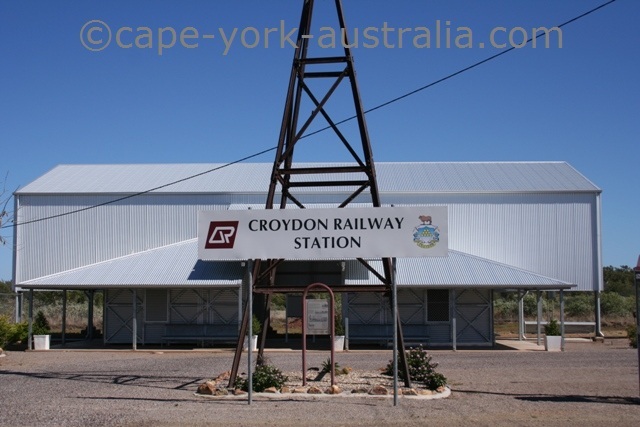 Croydon itself is an interesting historical town, an old gold rush town, and the railway is from the days when Normanton was the port for Croydon's gold rush. There are many historical buildings and a pub that will keep you busy for the rest of the day. The Gulflander train goes back to Normanton the following day - every Thursday.